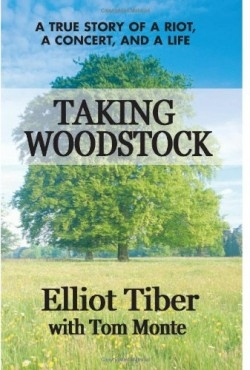 When in 1969 the promoters of the Woodstock Festival in Upstate New York lost their preferred site for a concert Elliot Tiber helped them relocate to Max Yasgur’s cow pasture. The festival totally changed his life. Born in 1935 to immigrant Jews Tiber was an artist commuting between New York City and the depressed town of Bethel in the Catskills where his parents owned a rundown motel. Much of the first half of this gleefully candid and often hilarious memoir chronicles Tiber’s unhappy ‘50s boyhood and the discovery of his gay sexuality. Despite the cameo appearances of famous writers artists actors and musicians—Truman Capote Tennessee Williams Marlon Brando Richie Havens and his impossible maddening mother who never tires of relating how she escaped the Czar’s soldiers through the snows of Minsk—Tiber is clearly the star of the book.